I’m so excited to share these with you. Mostly because – hey, I have them done a whole MONTH before the actual holiday. 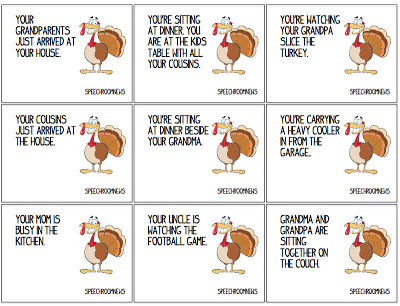 This should give you this week to get them printed and laminated and plenty of use before Turkey Day! 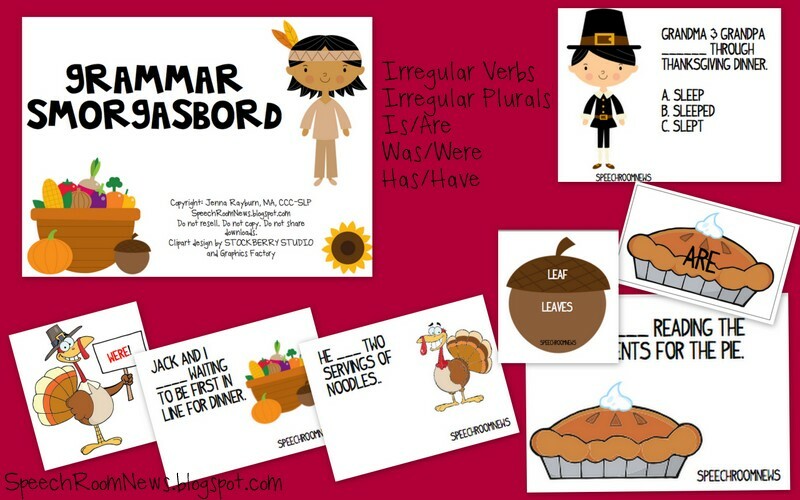 Check out my language activity packs: Thanksgiving Language, Smorgasbord Grammar, and Feast of Social Skills. 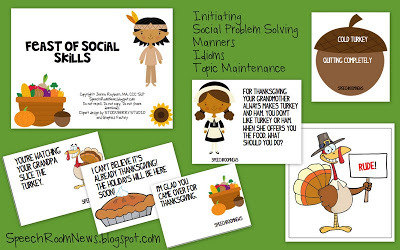 The Feast of Social Skills features activities for: social problem solving, thanksgiving idioms, topic maintenance, initiating conversation and manners. 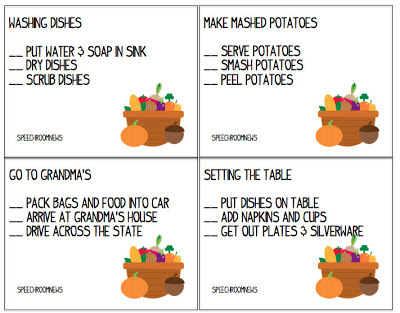 Each activity and social skill is targeted using activities for Thanksgiving. 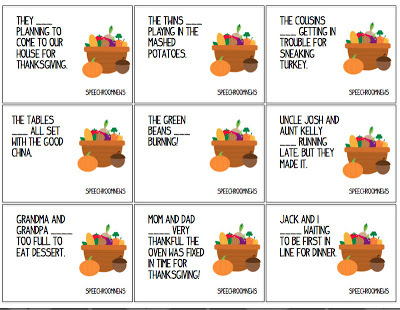 Social Problem Solving (16 cards) Each card contains a social situation that could take place at Thanksgiving. Determine what you should do in each situation. 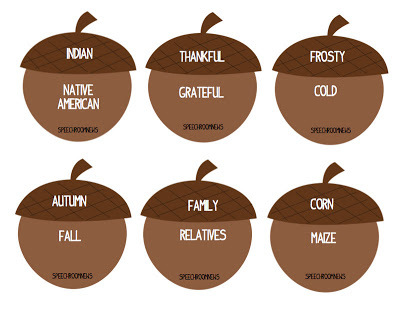 Thanksgiving Idioms (12 cards) Each acorn can be cut in half. 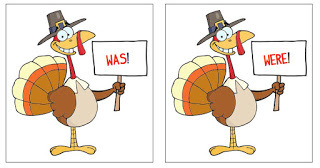 Have students match the idiom to the definition. See if they can use it in a sentence. Topic Maintenance Pies (18 cards) Students read the mock conversations. They need to continue the conversation. What would they say next? Initiating Conversation: ( 18 cards) Students read the given situation and decide how they would initiate a conversation. Rude or Not? (18 cards) Students draw a card. Read the comment and decide if the comment is polite or rude. 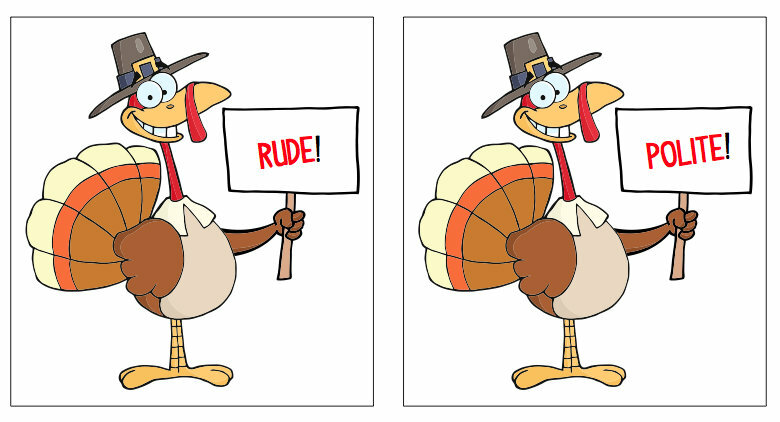 Sort the cards onto the Rude/Polite Turkeys. The document is 20 pages in length. 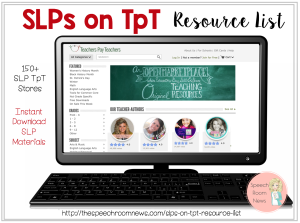 You can find it for sale in my TPT Store! 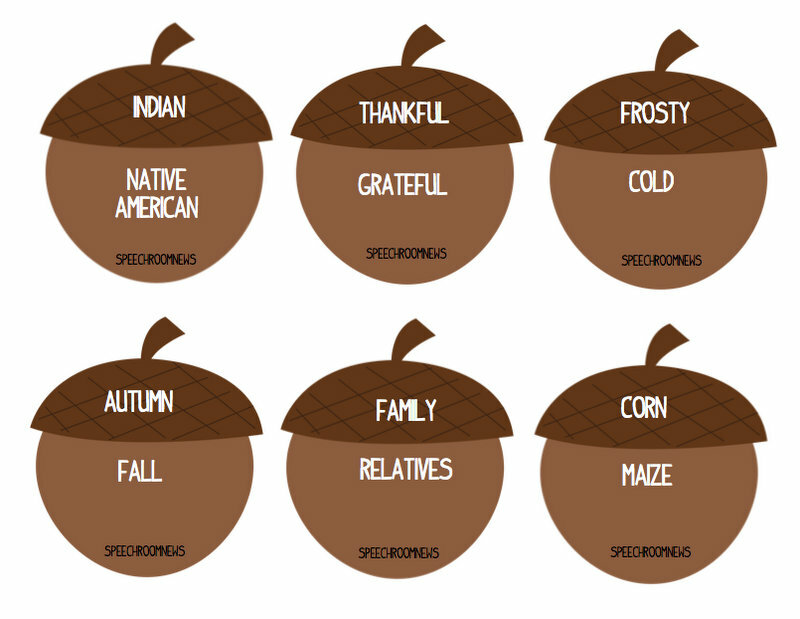 The Thanksgiving Language packet is 23 pages in length and includes 5 different language games appropriate for your elementary aged students. 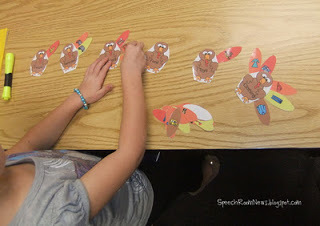 Activities include Thanksgiving riddles, synonyms, categories, analogies and sequencing. 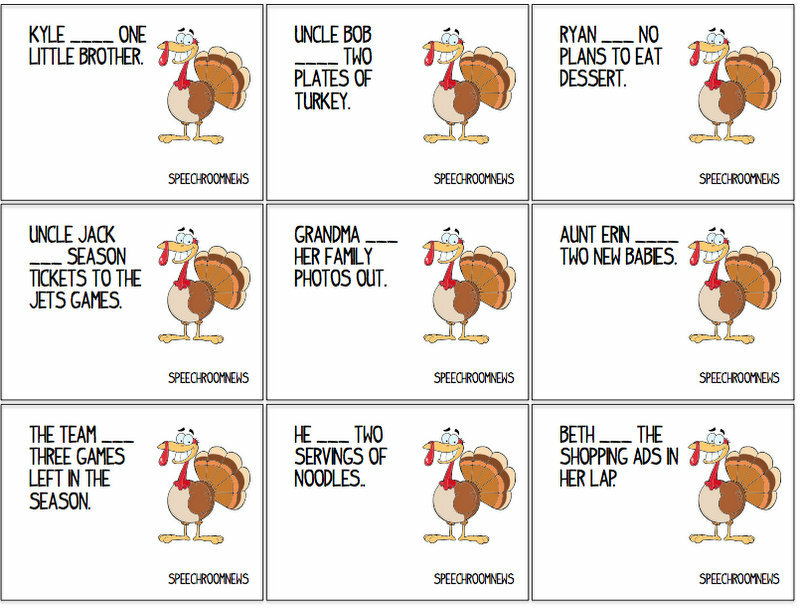 Thanksgiving Riddles (16 cards) Each card contains a riddle. 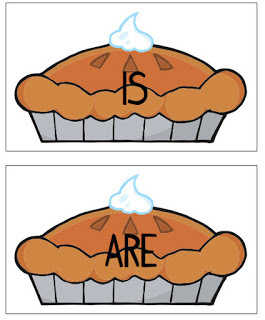 Read the riddle. Talk about possible answers. Read the answer. 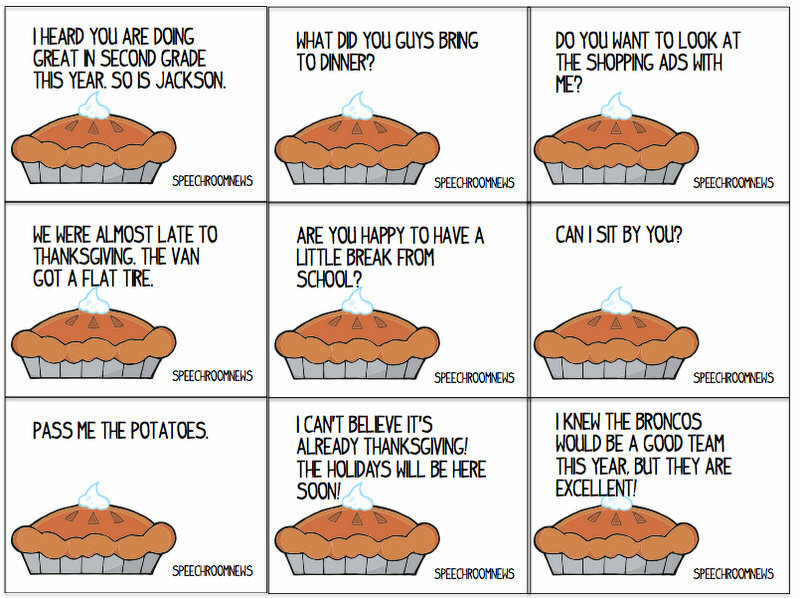 Have your student explain why it’s funny. 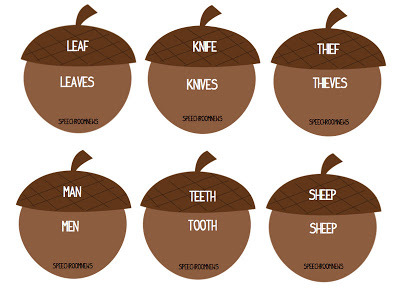 Acorn synonyms (12 cards) Cut each acorn apart. 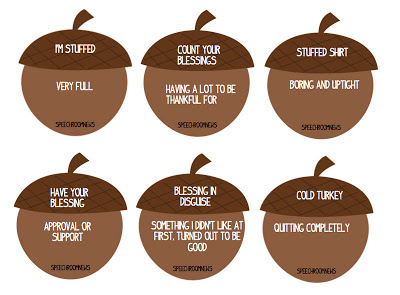 Have students match the synonyms. Then use the vocabulary words in sentences. 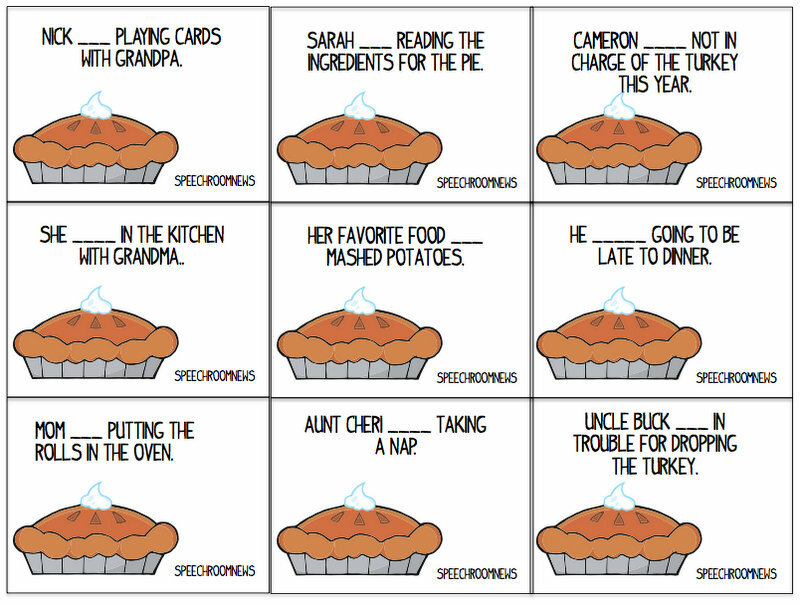 Analogy Pies (12 cards) Students read the sentences and choose the correct word to fill in the analogy. Then have the student describe the relationship between the words. 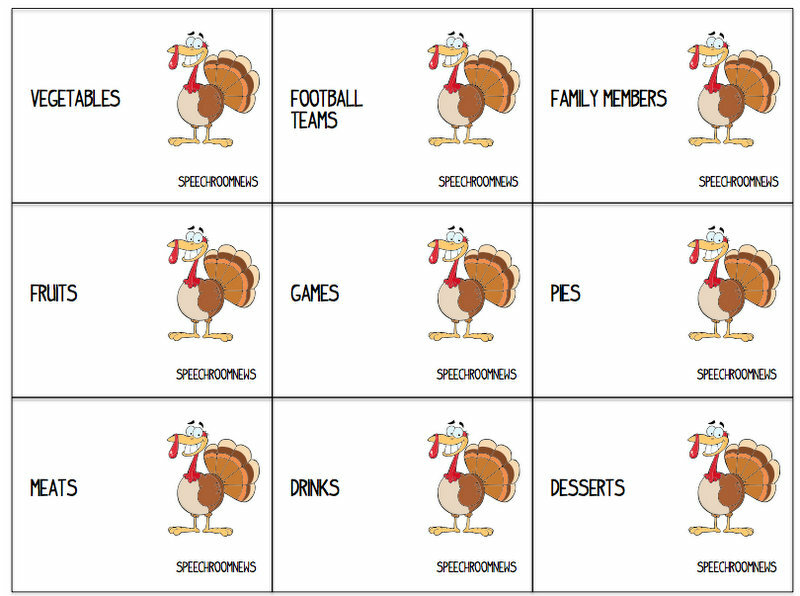 Categories 🙁 18 cards) read the thanksgiving category and list 3-5 category members. Sequencing (12 cards) Students draw a card. Read the sentences and determine the order of activities. Write corresponding numbers (1-4) next to each step. 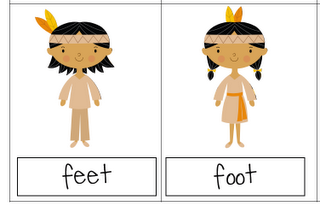 Then retell the sequence. 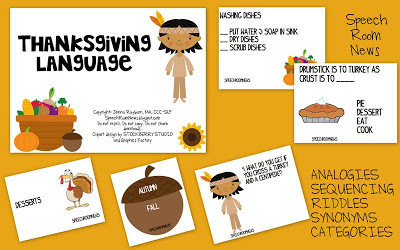 Grab the Thanksgiving Language on my TPT store. 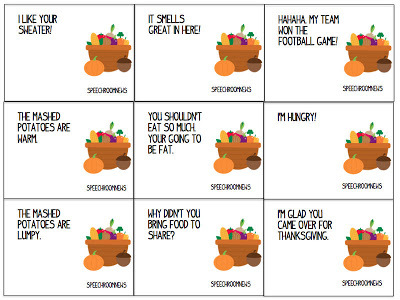 The third language activity is the Grammar Smorgasbord. 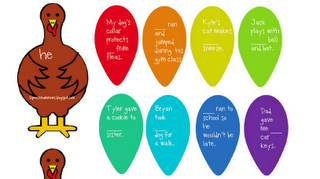 The activity pack is 21 pages of grammar activities. 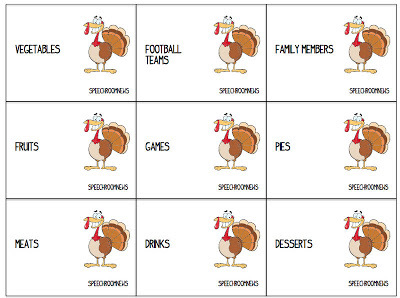 The card games include: irregular verbs, irregular plurals, is/are, was/were and has/have. 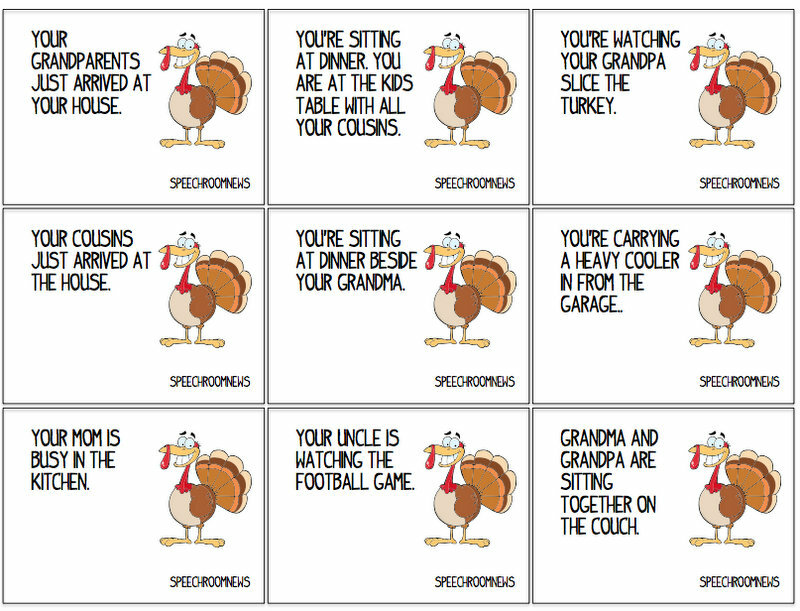 Verb Cards (16 cards) Each card contains a sentence. 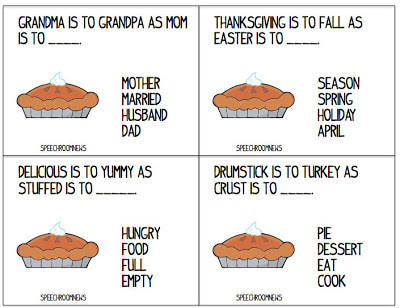 Students must choose the correct answer to fill in the blank. 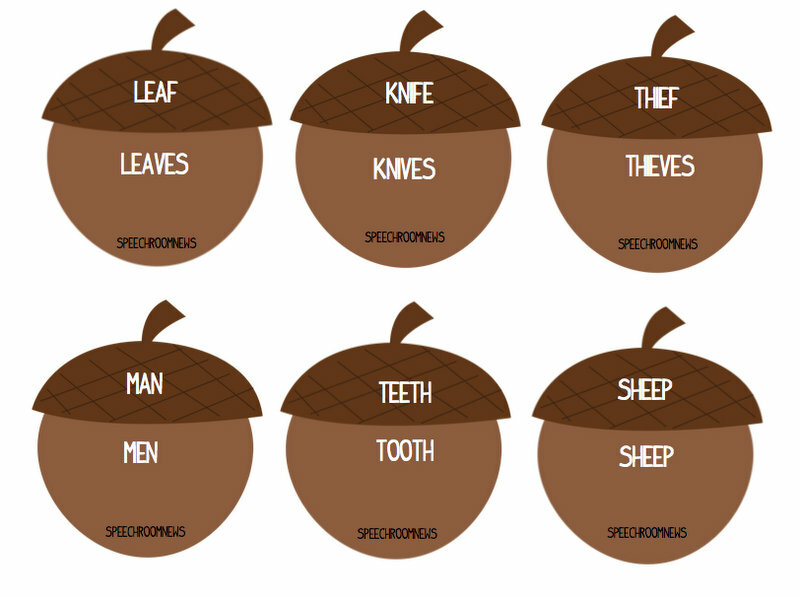 Acorn irregular plurals (12 cards) Cut each acorn apart. Have students match the singular and plural forms. 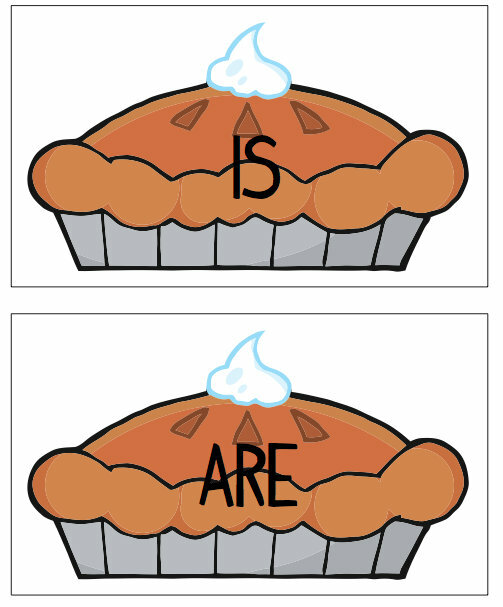 Say the irregular plural in a sentence. Subject/Verb Agreement Pies (18 cards) Students read the sentences and fill in the blanks with is/are. 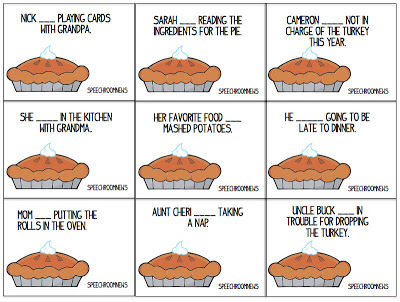 Sort them onto the correct pie. 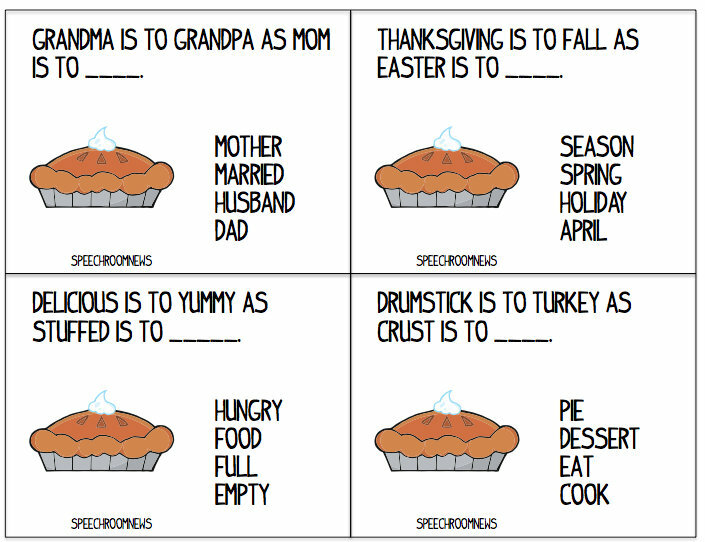 Have/Has Cards : (18 cards) Students read the sentence on the card and fill in the blank with have or has. WAS/WERE cards (18 cards) Students draw a card. Read the sentence and fill in the blank with the correct past tense form of ‘to be.’ Sort the card onto the correct turkey. Wow! You’ve been busy!!! I put them all on my wishlist! 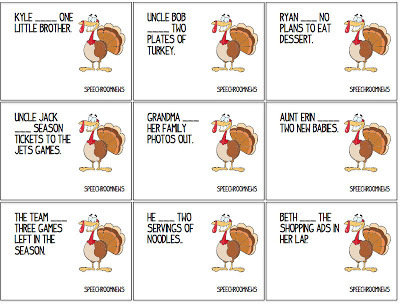 I LOVE seeing Thanksgiving materials come out already! And CC is right…you have been busy! Great packet! I enjoy Thanksgiving materials…well, everything Thanksgiving. (It seems like it gets overshadowed by Halloween and Christmas more and more each year.) Definitely a packet on my wishlist. Hi Jenna! I was wondering if on future packets (mainly card game types) if you could include a blank set in your download? 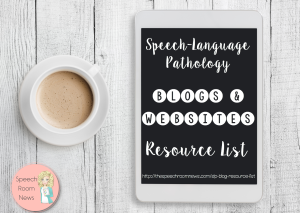 I’ve used them SO much previously, because your ideas give me so many more that I could use with other students! You are truly gifted. I LOVE all of your activities. You have great ideas AND make them all so cute. THANKS! You are on it! 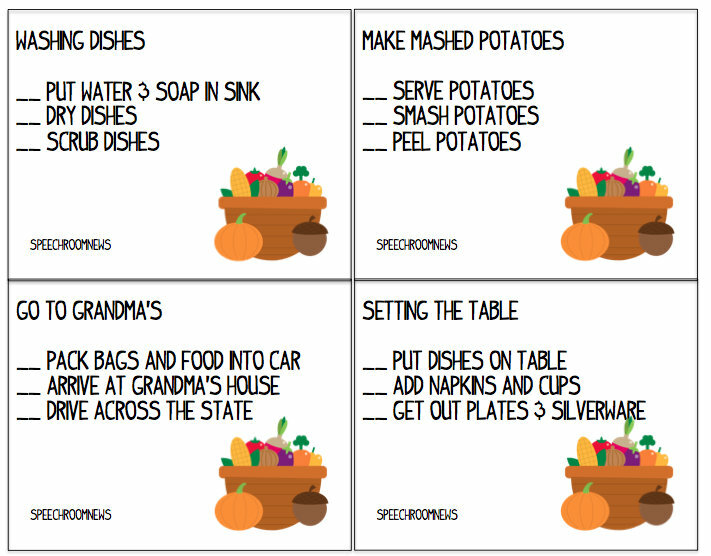 Love these Thanksgiving activities and it’s totally getting me in the mood for Thanksgiving. 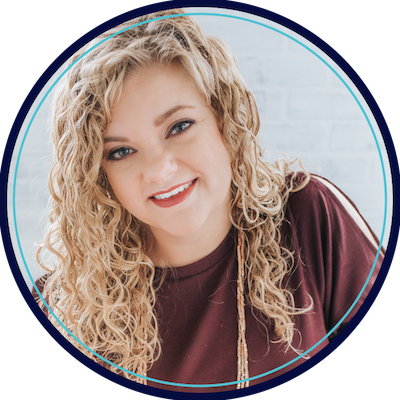 Oh, and your presentation today sounded great-heard you had a full room! I was so bummed because I didn’t do my research and see you were presenting :(. I grabbed all the handouts though and my friend who attended gave me the scoop. You are my inspiration! Nicole I didn’t realize you were an Ohio friend too! I’m going to be attending sessions tomorrow if you’re around find me! 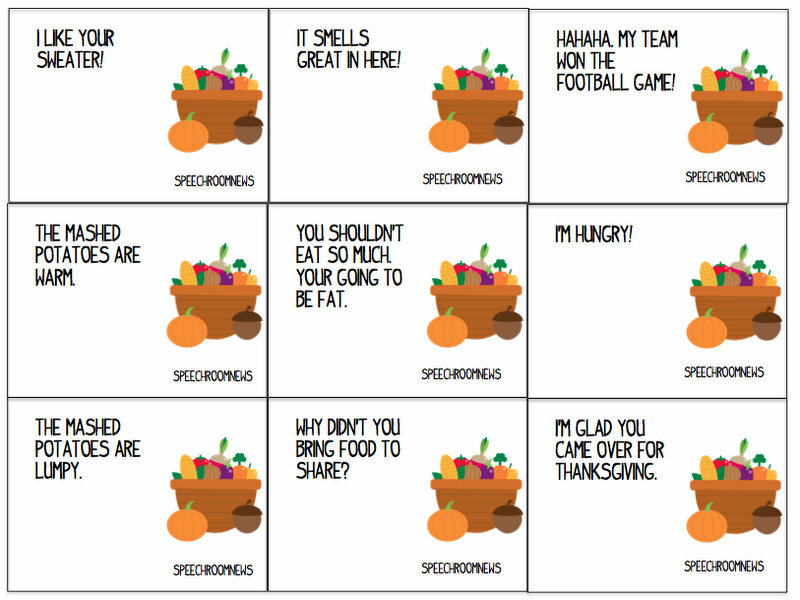 SO convenient for me to just download and use for social skills group today. Very thoughtfully done and worked perfectly for us. 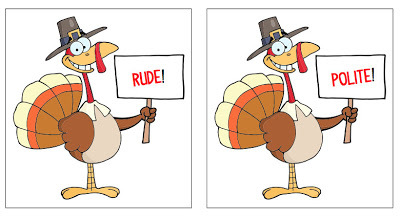 Just wanted to let you know of a typo on one of the rude/polite cards – “Your going to be fat” should be you’re. Thanks again! Oh shoot! I’ll go fix that! I LOOOOOVE this. We will be using today for Social Skills-thank you so very much for sharing! !